The perfect gift for a new baby boy! 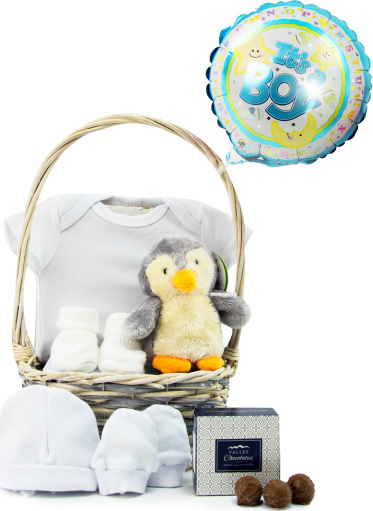 With everything from booties to a hat and everything in between, you can be sure that the new arrival will look his best! We have even included a box of luxury chocolates to give the new parents a much needed boost!